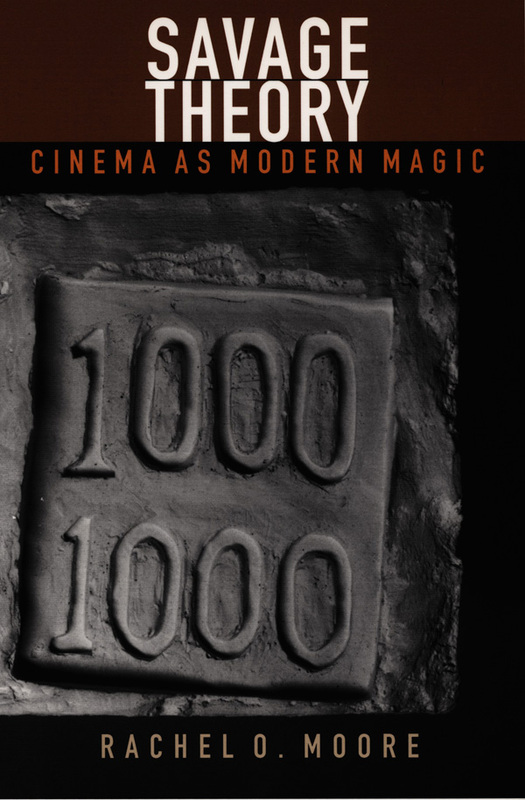 Savage Theory articulates the powerful mythology of cinema as the premier medium for magic in modern times. Envisioning the cinema as a form of magical ritual that possesses the power to enliven, heal, and enchant, Rachel O. Moore explores modernity’s relationship to the primitive by analyzing understandings of primitive belief and ritual in early film theory alongside illustrative scenes from popular as well as avant-garde film. Moore mines the theories of language, spectatorship, and cinematic expression in the writings of Vachel Lindsay, Sergei Eisenstein, Siegfried Kracauer, and Walter Benjamin, among others. Illuminating the links between these theorists’ preoccupations with cinema as a form of primal communication and the numbing effects of modernity, she demonstrates how movies are uniquely able to negotiate the fragmentary and isolating nature of a modern world. In constructing an alternative to cognitive, psychoanalytic, and ideological approaches to film analysis, Moore provides eye-opening discussions of films such as Kenneth Anger’s Scorpio Rising, Hollis Frampton’s Nostalgia, and Robert Bresson’s l’Argent. Drawing from Marx’s theory of the commodity and Lukács’s work on second nature, she outlines the fetish character of the film image and reveals the emergence of the camera as a magical tool replete with animistic powers otherwise lost in the storm of progress. Bound to influence the way future scholars think about the connection between modernism and primitivism, as well as the role of cinema therein during the early twentieth century, Savage Theory will be welcomed by scholars of film theory and anthropology and will also appeal to a wider cultural studies audience. Rachel O. Moore is an independent scholar living in New York City.